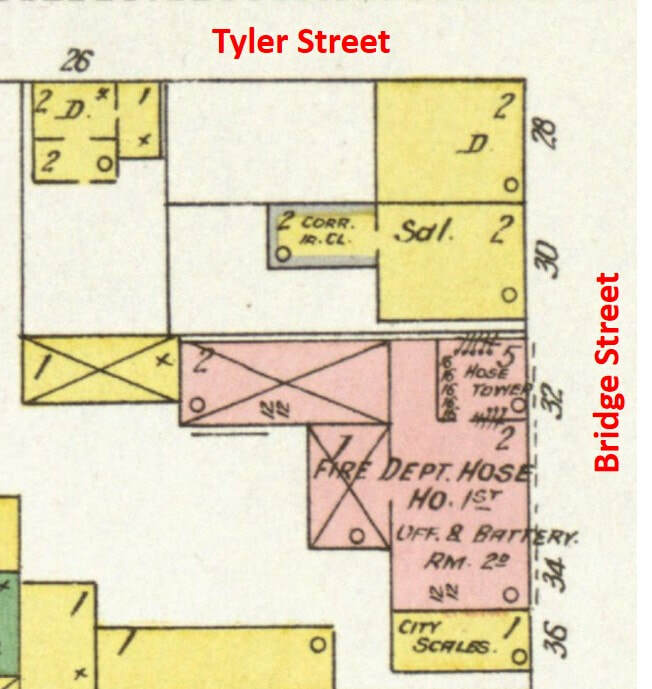 March 20, 1890: The department maintained a hose house (originated in 1868 with and inherited from the Volunteer Department) and coal depot in a building on 32-34 Bridge Street near Tyler street. 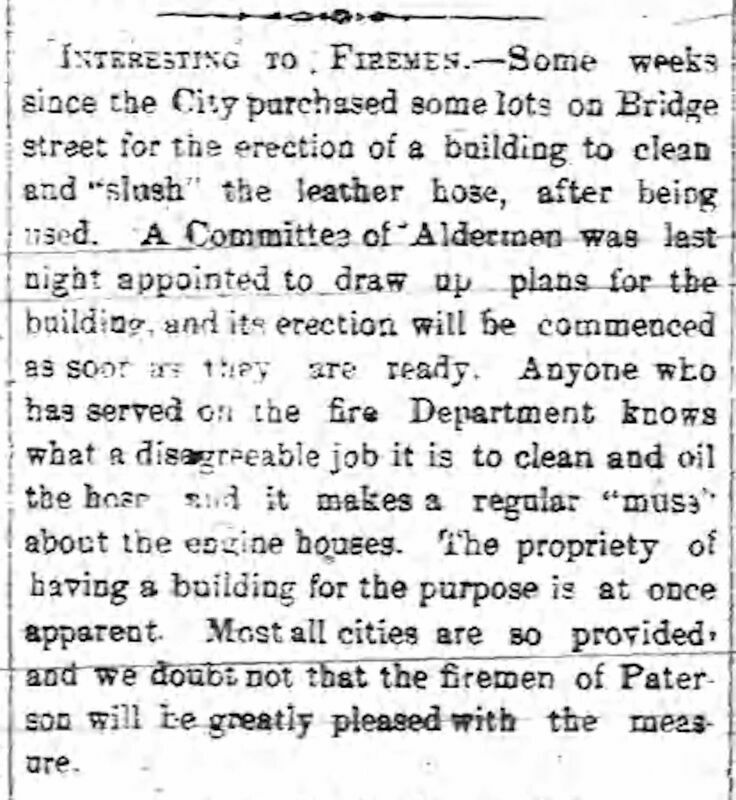 It had a 60' hose tower and an office and battery room (Fire Alarm) on the second floor. Two horses were on location. This house was originally erected by the Volunteer Department in 1868. 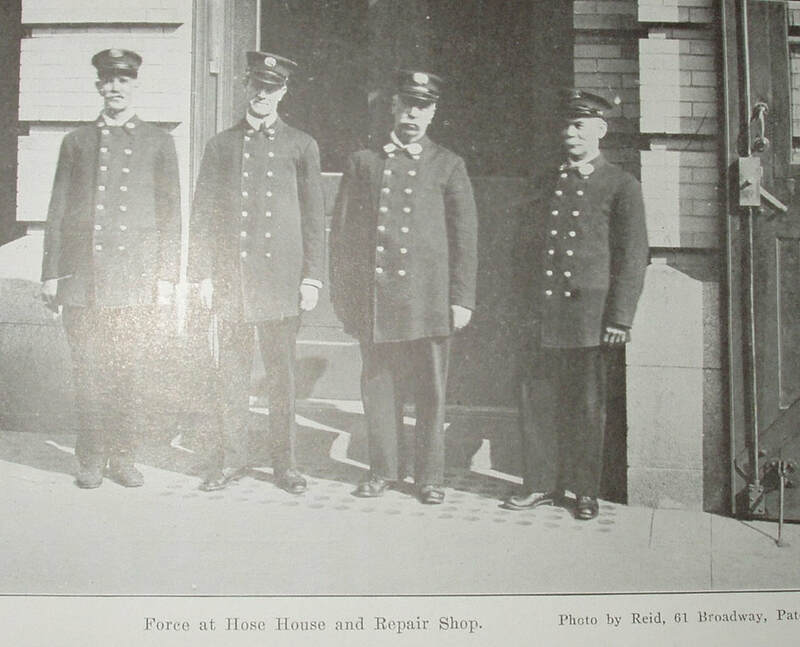 ​March 19, 1912: Hose house on Bridge Street closed: Staff moved to 115 Van Houten Street. The Bridge Street building was closed and sold.